Mining has become one of the fastest growing sectors in the Panamanian economy, and it is expected to expand even quicker after the government disclosed last week it has identified mineral reserves estimated at $200 billion, at current prices. Zorel Morales, chairman of the Mining Chamber of Panama (CAMIPA) told local paper La Estrella (in Spanish), mining-related activities jumped 25% in 2013, but with the billions in mineral reserves waiting to be mined, that’s only the beginning. “So far we have identified 50 billion pounds of copper reserves, 12 million ounces of gold, 25,000 ounces of silver and 250 tons of molybdenum (…) Of this total, 53% must stay in the country in the form of taxes on income and dividends," Morales was quoted as saying. One of the main boosters to this grow has been the ongoing construction and development of the $6.2 billion copper, gold, silver, and molybdenum Cobre Panama mine, on the country's Atlantic coast, helping to expand the mining industry by a third for the quarter. 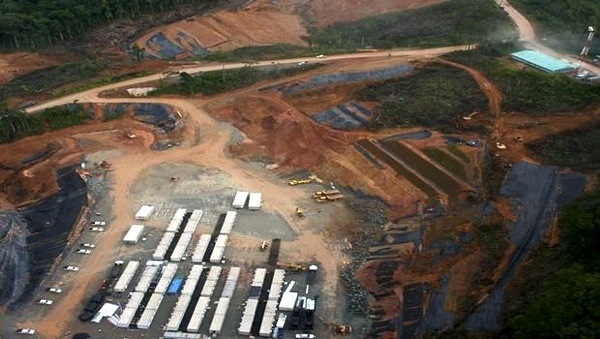 Expected to become one of the world's largest open-pit copper developments and Panama's biggest source of exports, the mine's first shipments are due in 2016, according to Minera Panama, a subsidiary of Canada's First Quantum Minerals (TSX:FM)(LON:FQM). Despite its important mineral reserves, Panama has not experience a mining boom. There is only one operating mine in the country, the Molejon Gold mine, which is also run by a Canadian firm, Vancouver-based Petaquilla Gold (TSX:PTQ). Apart from the touted Cobre Panama, there are other projects expected to begin operations soon, such as the gold-copper Cerro Quema mine, by Canadian junior Pershimco Resources (TSX-V:PRO) and the reopening of Santa Rosa gold mine, in production from 1996 to 1998. One of the fastest-growing economies in the world, Panama mostly evaded the global recession, expanding by double-digits for four of the past six years.